Experience South Africa on two wheels is one thing, but doing it in style is an other. 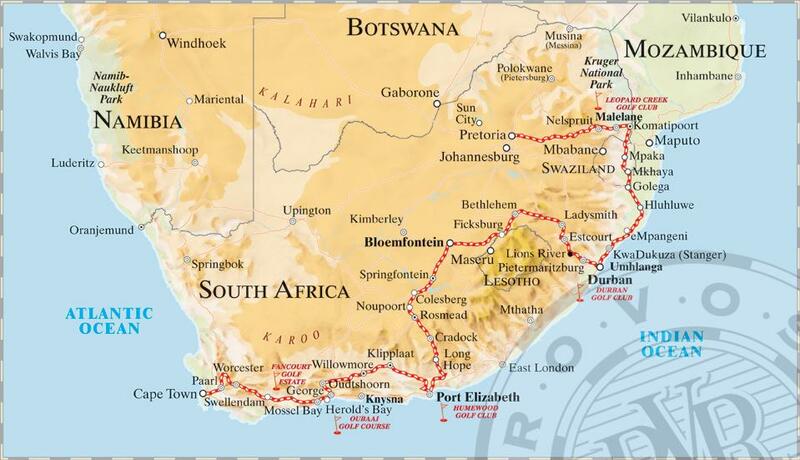 We offer you a motorbike tour on Harley Davidson Motorbikes, all inclusive: accommodation 4x in 5* Guesthouses, 13x on Rovos Rail, 1x Private Game Reserve, food, drinks, petrol, activities and entertainment the whole way. There will be a doctor on board, a qualified H-D mechanik, a professional photographer and two qualified tour guides who will take care of you.